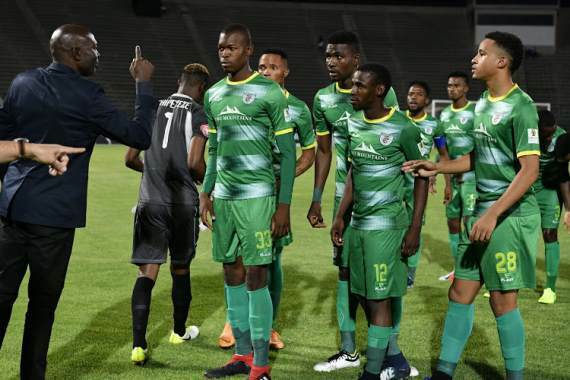 Baroka FC coach Wedson Nyirenda has highlighted a lack of professionalism as the reason for his surprise decision to release nine players recently. Mpho Kgaswane, Hussdein Shabani, Davies Nkausu, Zama Dlamini, Toriq Losper, Bheki Maliba, Richard Matloga, Charles Molapo and Thabo Moseki have all been shown the exit door at Peter Mokaba Stadium. Bakgaga find themselves perilously close to the dreaded drop zone, and poor performances from many players meant Nyirenda had to act in a bid to steady the ship. The club's foreign players, in particular, left Nyirenda disappointed and he admitted it would be preferable to give a youth player the chance to impress rather than keep an under-performing player in his squad. "I cannot be a player from Zambia to come and play in South Africa and then I'm behaving like a local player," he told Times Live. "The club would rather then have an MDC player in the team than having me, spending money on work permits and other things. It's just not on." He continued: "We need to change some of the players. Football is result-orientated and for the players it is performance oriented. "If the club buys you and you are not up to what they expected, you must expect to exit. I insist on being strict about professionalism." Next up for Nyirenda's side is a tough trip to high-flying Orlando Pirates in the Absa Premiership next Tuesday.